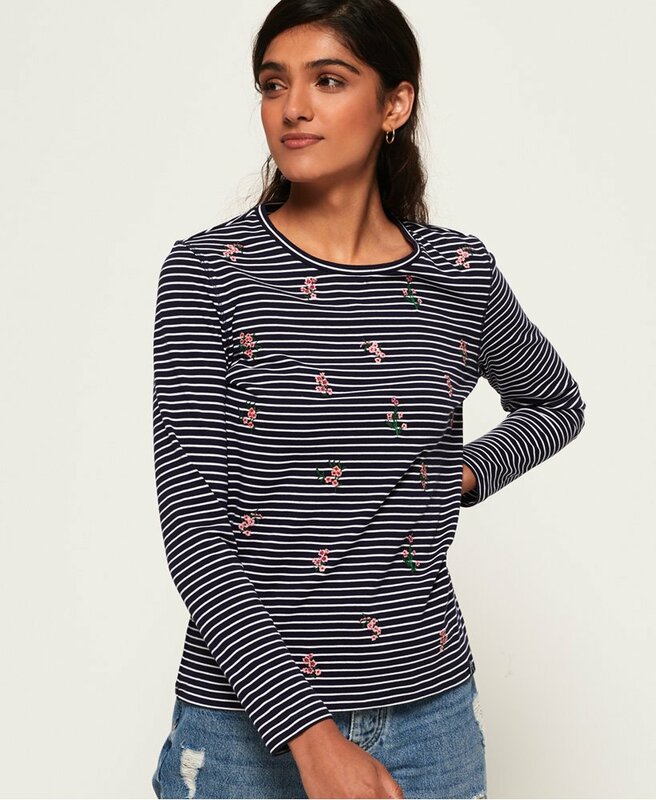 Superdry women’s Fargo embroidery top. A staple long sleeved top, perfect for layering. This top features an all over flattering stripe design and embroidery detailing. The Fargo embroidery top is completed with a Superdry logo tab on the hem.